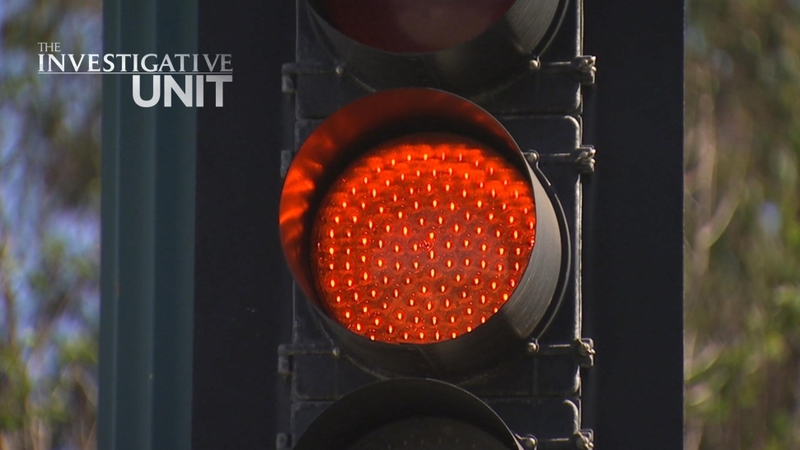 The NBC Bay Area Investigative Unit uncovered the city did not follow new state regulations for red light cameras at two intersections, making 948 tickets invalid. The San Mateo Police Department has thrown out nearly 1,000 red light tickets, totaling more than $500,000 after the NBC Bay Area Investigative Unit uncovered the city did not follow new state regulations for red light cameras at two intersections. The San Mateo Police Department admitted the yellow lights at the intersections at Saratoga and Hillsdale and Norfolk and Hillsdale did not meet new state regulations that went into effect August 1, 2015. Based on the speed limit at those two intersections, the yellow lights changed to red too fast, putting it out of compliance with state code. "It’s always difficult to talk about mistakes that have occurred and what you’re doing to correct them," said Lt. Dave Norris, of the San Mateo Police Department. "We appreciate the fact NBC brought this back to our attention. We thought we were in compliance. We would not have been issuing citations if we thought we weren’t in compliance." The investigation began after Burlingame resident Andre Clemente received a ticket in the mail on January 13 for running a red light. The San Mateo Police Department sent Andre Clemente a ticket in the mail for running a red light. Included in the $540 citation is a photo showing him behind the wheel. "I open it and the first thing I see is the $540 price tag," Clemente said. "I didn’t have the money for it at the time." Instead of paying the fine, Clemente decided to fight it in court. He requested records from the city, reviewed the video of his ticket, and argued the citation was invalid because the city failed to measure the average speed leading to Hillsdale and Saratoga. With no documented speed survey, Clemente argued the city’s timing of the yellow light did not meet state requirements of at least 3.2 seconds. "The video showed three seconds and two frames which translates to 3.066 seconds," said Clemente. A Judge considered the evidence and dismissed Clemente's ticket. Andre Clemente analyzed the photo enforcement video from the San Mateo Police Department and argued the city's timing of the yellow light did not meet state requirements. The judge never explained his reason for dismissing Clemente’s ticket and the NBC Bay Area Investigative Unit has confirmed in the weeks and months following the judge’s decision, the San Mateo Police Department did not ask for an explanation, something the department will start asking for in the future. "We’re going to be more adamant about asking for more detailed information coming back from judges if cases are dismissed," Lt. Norris said. "We were disappointed to see that there was no commentary on it." 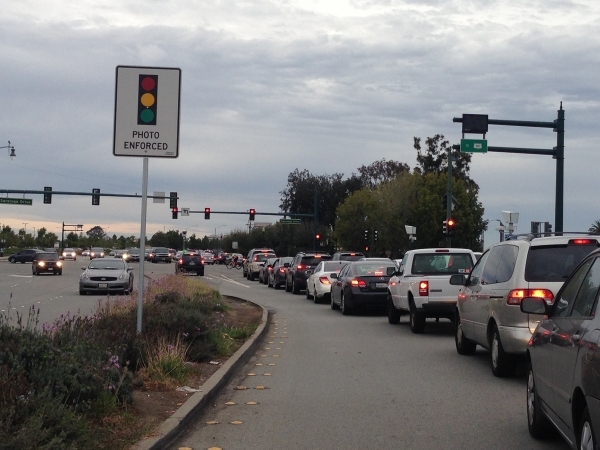 After the NBC Bay Area Investigative Unit started asking questions about the city’s red light camera program, San Mateo shut down all red light camera intersections for two days to see if they were in compliance with the new requirements. The inspection found two lights, Hillsdale and Saratoga and Hillsdale and Norfolk, out of compliance. "There was an inadvertent mistake on our part and we missed the change," said Gary Heap, a San Mateo Public Works engineer. The city has now thrown out 652 red light citations issued from August 1 to October 15, 2015, for southbound Saratoga Drive and Hillsdale Boulevard and 296 red light citations issued at the intersection of Hillsdale Boulevard and Norfolk Street. That’s a total of 948 red light citations at $540 a ticket; that adds up to $511,920. "It’s unfortunate, but we can’t go back in time. It’s something we are going to have to move forward on and put measures in place so it doesn’t happen again," Heap said. The city rescinded all tickets issued from August 1 to October 15, but the San Mateo Police Department says it stands by the accuracy of the stop light that led to Clemente’s ticket, despite a judge’s ruling against the city. "We have already investigated the ticket and everything was in compliance," Lt. Norris said. The judge in Clemente’s case declined to go into specifics about why he dismissed the ticket, but did say Clemente’s video showing a question in the light’s timing was a critical piece of evidence. The intersection of Saratoga and Hillsdale, facing south, is seen in this recent photo.